A Beginners Guide to the Periodic Table is a mind-blowing guide to the elements that make up the periodic table, fully explaining their starring role in the world and clears away any confusion or apprehension that might surround the elements. A Beginners Guide to the Periodic Table is a mind-blowing guide to the elements that make up the periodic table. By linking each element to a story, wacky science analogy or fascinating fact, Gill creates a unique first reference to the periodic table. From smelly sulphur and exploding hydrogen to why Stevie Wonder is blind and everything in between, Gill seamlessly explains the mind-boggling 92 elements which will make you look at the periodic table in a whole new light! 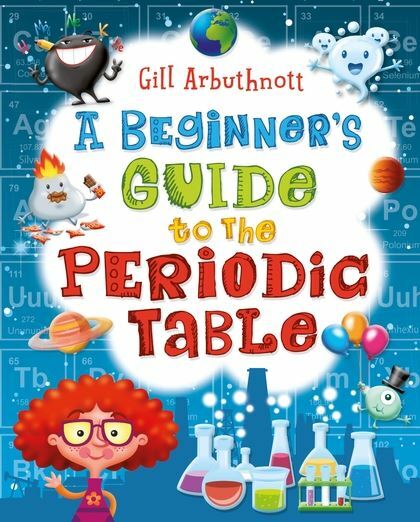 Following a long career as a biology teacher, Gill Arbuthnott published her first book for children in 2003. She is inspired by her love of science fiction as well as science fact.